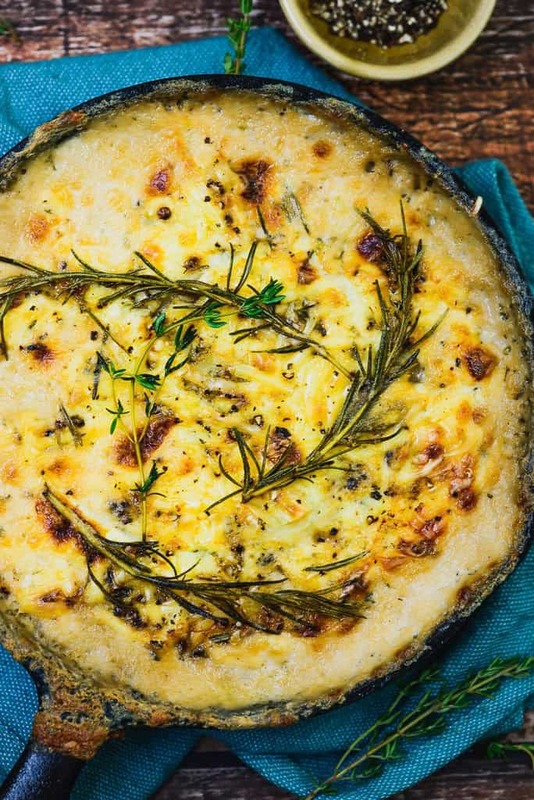 Potato Au Gratin With Caramelized Onion and Gouda Cheese is a lightly herbed and flavored Italian dish that is as delicious to taste as it is easy to make. The soft and buttery cooked potatoes are layered with rich Gouda cheese and sprinkled with herbs to be cooked in an oven. These when served with sweet and spicy caramelized onion, have a rich flavor, and isn’t too heavy on the palate. 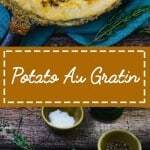 Potato is an eternal favorite, and makes for a wonderful ingredient in dishes such as the Roasted Garlic and Rosemary Mashed Potato and Texas Style Potato Salad. Add 2 tbsp butter in a pan and add the onions. Cook till onions starts to brown. Add little sprinkling of water and cook till onions are really browned and softened. In a 12 inch cast iron skillet, arrange 1/3 rd of the potato slices in an overlapping manner. Top with 1/3 rd of the sauce, 1/3 rd onions and 1/3 rd of the cheese. Put 1 tbsp of the butter on top. Sprinkle some herbs on top. Repeat the layering 2 more times. Transfer the skillet in the oven and bake for 25-30 minutes until potatoes are tender and slightly browned from the top. 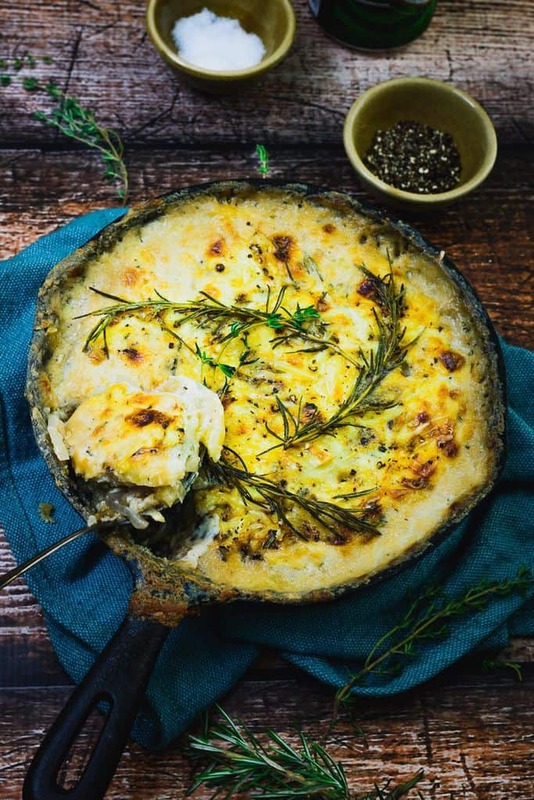 Recipe to make Bechamel Sauce is Here.